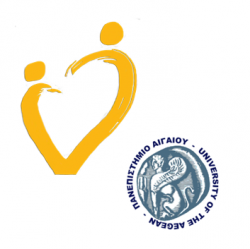 Two research positions are available at the Intelligent Interaction research group of the Department of Cultural Technology, University of the Aegean regarding its involvement in a recently granted, about to start, 3-year, funded research project dealing with sentiment analysis, machine learning and data mining applications in social media. The research group is looking for enthusiastic senior and junior researchers with academic background on fields related to the project and its wider research interests. The project will design, develop and integrate innovative services concerning data collection, analysis, topic extraction, trend detection, opinion mining and sentiment analysis from social media, news, blogs and other streams including Linked Open Data. Inteligent Interaction (II) is a recently established yet dynamic research group active in the intersection of Intelligent Systems, Human Computer Interaction and Cultural Heritage Management. The successful applicants will also be expected to contribute to the research and innovation activities of the group related to and beyond the project’s scope. II is looking for enthusiastic, dynamic, adaptive and flexible researchers with strong sense of teamwork and collaboration. If you’re interested, contact the responsible team here as soon as possible (candidate selection is ongoing).